Nelson Rangell has returned with 2 new CDs being released simultaneously. They are titled “Blue” and “Red“. “Blue” is a wonderfully compelling and virtuosic album of jazz flute. Rangell’s beautiful sound and mastery are featured throughout. Nelson Rangell’s sparkling two new recordings, “Blue,” a contemporary jazz album of beautiful, engaging and virtuosic flute and piccolo works and “Red”, featuring Rangell’s driving, soulful alto and tenor saxophone are, separately and together, the most extensive, compelling and unique efforts of his career. In past reviews Jazziz Magazine states ” Rangell peppers with effortless complexity seeming at times almost superhuman” and that Rangell is “rich in inspiration, long on chops and powerfully unique in voice”. The Times Of London notes Nelson Rangell’s” extraordinary facility on a range of instruments and undoubted virtuosity”. Flute Talk Magazine writes “Nelson Rangell creates the impression that anything is possible when he improvises” and Saxophone Journal states simply “Nelson Rangell is a spectacular flutist”. On all of Nelson Rangell’s previous 15 label recordings his flute work and the directions that instrument naturally guided him towards played a secondary role to his saxophone which was in simplest terms, regarded as the more commercial investment by each of those companies. While Rangell sees his musical aspirations as ultimately being no less “commercially minded” on the flute, the scope and diversity of the compositions and arrangements on “Blue” are unusually wide for any single project let alone one done in tandem with an entirely separate album. “Blue” features nine tunes from as varied a group of composers as Stevie Wonder to jazz adaptations of classical pieces by Maurice Ravel. Gabriel Faure and Sergei Prokofiev. The disc’s stylings include everything from R and B to up tempo straight ahead jazz and classical. The unifying thread that bridges the diversity of material throughout the album is Rangell’s unfailingly soulful approach, beautiful sound and technical mastery running through each song. “Blue” includes 2 original pop jazz gems as well, eleven songs in all. Also featured are inspired and fresh contributions by contemporary jazz legend Bob James on 4 of the eleven tracks. James plays with not only his patent artistry and musical insight but with tremendous fire and range. The simultaneous release of two highly enjoyable and vastly diverse recordings, featuring different instruments has rarely, if ever, been done by an artist. Nelson Rangell is a dynamic player on both flute and saxophone with tremendous ability, a strong voice and much to say. “Red” and “Blue” are both hugely accessible, while taking Nelson Rangell’s artistry and contribution to contemporary jazz to a new level. To buy these albums go to CDBaby. Debut recording from new Jazz flautist Sherry Reeves. These are tracks that are guaranteed to please all types of music listeners. This album will make you bob your head, put you in a mellow, relaxed place, set a romantic mood, and make you want to Salsa like few other artists before. The tracks are expertly produced by industry veteran Ken Powe, who has worked with many of the music industry’s big names in R&B, Jazz, Blues, Gospel, and Classical genres since the 1990’s. There is definitely so much to like on this album! For starters, “5 A.M.” has already launched with its own professionally produced music video (viewable on YouTube and Vimeo). “Aqua Verde” is a spicy toe-tapper for the Latin lovers. “Nightlife” grabs those who like listening to newer Jazz artists like Robert Glasper. Classic R&B fans will certainly appreciate Sherry Reeves’ cover songs, “Love Ballad” by L.T.D. and “Love Won’t Let Me Wait” recorded by Major Harris and Luther Vandross. 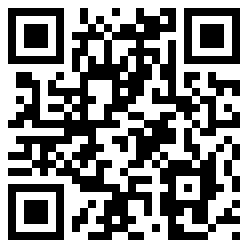 Get Sherry Reeves at CDBaby. 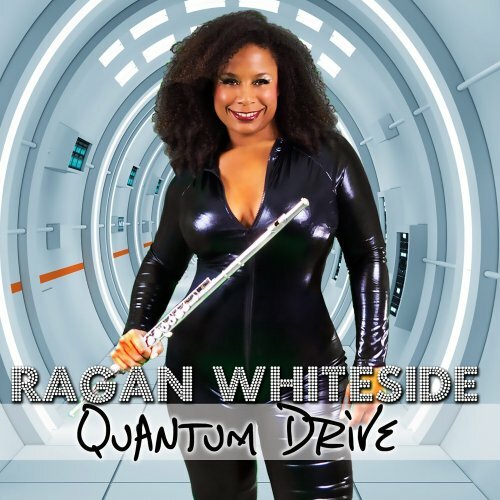 When beauty and musical talent come together in a compelling symbiosis, then Ragan Whiteside‘s flute is the herald of this glorious message. Her Bachelor of Music-Performance and the gain of the Capital Jazz New Artist Competition are signs for things to come. Her debut album Class Axe (2007) received high acclaims especially by the customers of CDBaby. Her sophomore album Evolve (2012), produced by Dennis Johnson and Bob Baldwin, is stylistically Neo-Soul, Urban, and Smooth Jazz, a delightful mix. Her brand new CD Quantum Drive is featuring Baldwin, Patrice Rushen, Frank McComb and Althea René. You can pre-order the album at Amazon.com. Game Changer (Capri Records, 2013) is as its name implies. 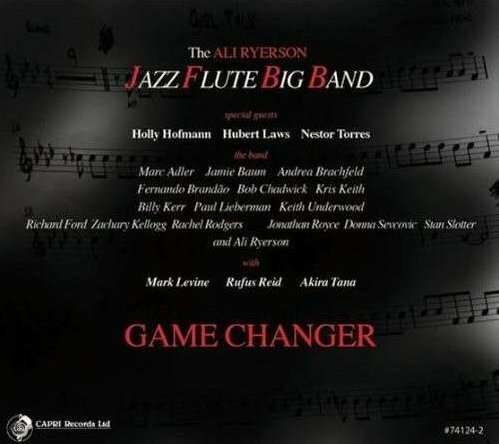 The debut release of the Ali Ryerson Jazz Flute Big Band defies convention with a collection of 10 songs by a cross-section of jazz composers but in a different setting. Ryerson, who plays C and alto flutes, heads a 16-piece section that’s backed by a rhythm trio. In addition to Ryerson, the flutists are Marc Adler, Jamie Baum, Andrea Brachfield, Fernando Brandao, Bob Chadwick, Richard Ford, Kris Keith, Zachary Kellogg, Billy Kerr, Paul Lieberman, Rachel Rodgers, Jonathan Royce, Donna Sevcovic, Stan Slotter and Keith Underwood. With the following exceptions, all play the C and alto flutes. Brandao and Lieberman, C, alto and bass; Chadwick and Sevcovic, bass; Kellogg, piccolo and C; Rodgers, C; and Underwood, bass and contrabass. The rhythm section are Mark Levin, piano; Rufus Reid, bass; and Akira Tana, drums and percussion. Memphis citizen Darryl Evan Jones counts Tim Weisberg and Hubert Laws to his influences. The flute is his favorite instrument, old school R&B/jazz, blues, Latin and gospel are his styles. To learn more about the artist, just visit his facebook site. 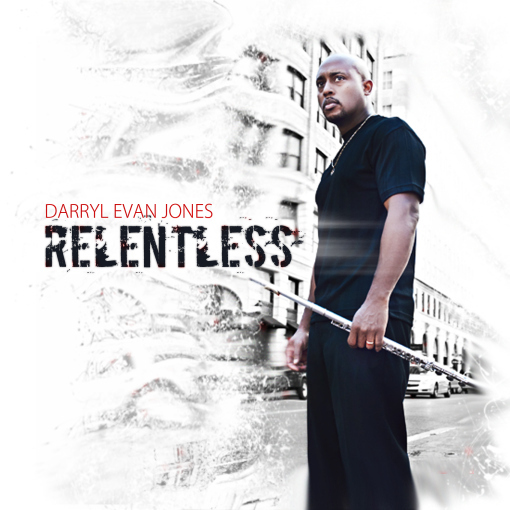 His work of love is his album Relentless (2013), which Darryl recorded with numerous musicians from his musical network such as Claude Hinds III (keyboards), Noah Hernadez (rhythm), Thomas Grivens (guitar), Alex Rogers (bass), Cortez “Tazz” Fields (drums) and many more. The album starts with It’s Alive!, a living testimony to his passion for contemporary jazz. On Interlude Darryl comments the thrust of his album to make the impossible possible, while the entertainment is not to be neglected. The title track Relentless is his testing ground for everything that sounds terrific. 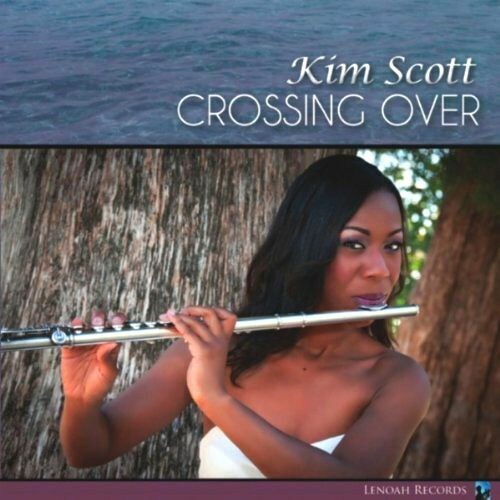 Hailing from Birmingham, Alabama Kim Scott already toured around the world with her flute and harp ensemble Kimoni Duo, with Monica Hargrave, harp, and as a soloist with professional combos and orchestras across the United States and South America.. She is teaching flute at the Alabama School of Fine Arts as Chair of the Department of Music. Her debut album Crossing Over was produced by Keith “Cashmere” Williams, who played guitar on the lead track, Rain and Olivia. Also, Dave Crenshaw of the Lionns Den produced, co-wrote and played keys on Crossing Over. In addition, I’d like to acknowledge Kelvin Benion on keys for his work in the Bob Baldwin tune, Meu Amigo, Meu Amante. The starting track Crossing Over has the right groove to keep you captivated from first to last note. Kim’s divine flute play is perfectly framed by keyboards, guitar and other instruments. With her great intuition she gets the most out of Beyoncé Knowles’ song Déjà Vu. Rain is a song by SMV from their album Release Some Tension (1997) based on Jaco Pastorius’s Portrait of Tracy. Norman Brown covered the song on his album Celebration (2003). On Kim’s version she interprets vocals and flute with immense intensity. On Unthinkable (Im Ready) Kim gives huge respect to Alicia Keys’s original.